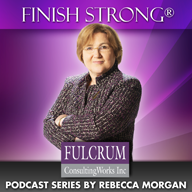 Builders and Maintainers | Fulcrum ConsultingWorks Inc.
Rebecca explains the differences between those that like to build versus maintain process and growth. This entry was posted in Podcast Series: Finish Strong® and tagged builders and maintainers by Becky. Bookmark the permalink.